Yes , he should learn PD. I have attended very few classes bt from there i came to know that through PD we can develop our inner self like we can be free from notins , beliefs and so on.We always see that other person is wrong and we are right bt actually no one is wrong in their perception , all are correct in their perception,only just we have to understand others point of view ( empathy).We can do whatever we want withour bothering what society will say.There is nothing wrong or right .This is only our perception . We can also make out that how much knowledge we have taken throughout our life bt actually we are with 90% of information and 10% of knowledge . Yes , we should do PD in our life .Infact according to me a subject of pd must be allowed in schools . beacuse if we want to live this life with peace and free from stress then only pd can help us to live such a life. If a person has wide knowledge about everything ,but he dont have knowledge about himself . then he can not deal with the problems of life. So , all the knowledge in.this world is only applicable if the person has the knowledge about life . And pd is the best and the only option for the this. Yes , we must do PD because it teach us about sooo many things that we don’t know in our whole life. It break our notions. That helps us to live our life without any tension and stress. And by doing PD we make our life easy and peaceful. Otherwise is become soo much complicated due to notions. PD is as important as water in our life. After doing it my life becametotaly changed. Now i became a notion free candidate. PD is a very interesting subject which not only tells about how to make like easy but also tell how to tackle it in a smooth way . so PD has changed me very much and the way of my thinking. It also helped me to deal with social and emotional issues. though is totally a practical subject with should become part of our life . so Everyone should take this subject in a positive way . PD is a very interesting subject which not only tells about how to make life easy but also tell how to tackle it in a smooth way . so PD has changed me very much and the way of my thinking. It also helped me to deal with social and emotional issues. though is totally a practical subject which should become part of our life . Yes l do pd .because while doing pd all problems are solved.notion is out of mind .feel good factor os increase & our change whole expresens .create positive self. In pd I have learn so much about life… now we can see our life in an different way… if we want to chnge something then we should do actions..PD is a very interesting subject which not only tells about how to make life easy but also tell how to tackle it in a smooth way . so PD has changed me very much and the way of my thinking. It also helped me to deal with social and emotional issues. though is totally a practical subject which should become part of our life . Thanks to Almighty that we could do it! Yes l do pd .because while doing pd all problems are solved.After attending the pd classes the prospects towards my life has totally changed I’m living in present & not making notion. this subject in a positive way . Yes , PD classes for me even imp for all . I am going to share my views actually before joining PD classes. I was confuse about life anout me and there was too much questions. No i am clear about relationships , about friendship about life and about many fundas of life. I have just improved myself. Still,. I would like to thank you mam in my poetic style…..
Learning something new in life is good thing . So yes ,He should learn pd . By pd he will get ability to things in positive way ,have patience , motivation and confidence most important believe to represent himself among others . Through pd he will understand ,action ,others reaction ,attachments ,angerness, sadness ,happiness , He will knew why it happens . Through pd he will get a positive perception to see the world Nd helps him to live happy life . And last but not least by increasing personality skills ,its take him one step ahead a in his life Nd make him a better person . Pd is the best way to know the real life .Before pd i was living in unconscioness .With so much notions in my mind .But after pd i can say that everything is possible.Everything has a solution.After pd i know the every situation like happiness, sadness,anger, confusion and etc.I know how I can handle the situations.After pd I can also know the behaviour of others . Without any notion I can change the bad behaviour of any person into good with smile and kindness.Pd tells me about morals, values and ethics . Really I have known the real meaning of life .It is not a book knowledge,it is a real life . YES, you must do PD. It is not only personality development but also perception development. We were born in silence, as we grew up we moved into words and meanings. These words and meanings formed notions in the mind which arouse emotions. Now reversal of this journey, from sound to silence, is enlightenment or self actualisation which is itself a by product of learning PD. Through PD you can fit into the bubbles of relationships and responsibilities. If taught at a young age, you will be a better child, better student, better employee/businessman, better husband/wife, better parent, better grandparent and better everything else only if the base is PD. “There is no connectivity of the subject with the senses”. This is worth living and people who understood this have stepped into evergrowing and neverending successes in their lives.. factors of pd are totally practical and relatable and everything in life falls under one or the other factor. Suddenly when a thought arises and changes the mood, a PD learned knows from where the thought has popped up and immediately blocks that particular source. (It feels great doing so😄). So there are plethora of reasons of doing PD but you wont find a single reason of not doing it. Thankyou so much mam for this invaluable knowledge. May you always light up people’s lives with your glowing presence, adept wisdom and god bless you with happiness and prosperity.. and may you fulfil your purpose of life and live a happy and content life. 🎈🎓🤔😊 Thankyou so much Shivaaz for expressing your acknowledgement for PD and sharing your experiences. yes we should do PD. PD helps us anytime how we handle the situation. PD develop our inner self. it’s always helps me .after attend classes of PD I have lot of changes in my inner self. I am out of notions. I used empathy nd understand the situation of others. any other changes in my personality so that I feel that we should do PD. Yes PD is very important to learn ,it should not aplicable to only students but I think it is must for everyone ..becoz if we talk about today’s society every single person is facing the problem just becoz of notions only ..Before my PD classes and after it I found a big difference in me it may not be felt outside but from inside I changed me alot ..thank you soo much mam for showing us the reality of life .I found the real meaning of life now. Yes, there must be someone who could guide you in ur life. 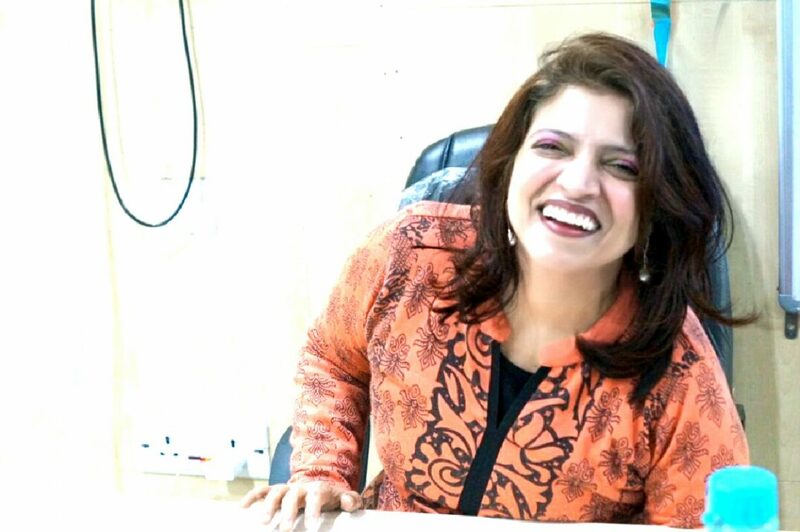 In our lives, jyotsna mam came as a blessing for us, because earlier before attending PD classes we were roaming around here and there in search of peace, calmness, stress-free environment but after that we just got all the answers to our questions about life that we are trying to find in the outer world is deep inside us. It just needs to be identified or to be known. Now, i don’t know about others but life is like a miracle to me. I just live every moment like it will be my last moment. Being in present, awareness about our surroundings, no more notions, no more rude behaviour with others made me actually realised that “who i am”. One may perceive PD as standing stright or how to talk to people..no my dear..PD is letting to know your actual self …it’s all about the DEVELOPMENT OF PEACE within yourself..and coming out of our notions! A KEY MANTRA FOR STAYING IN PEACE….EVEN WHEN THE TIME IS NOT URS…ITS ALL ABOUT GRATITUDE AND ATTITUDE! 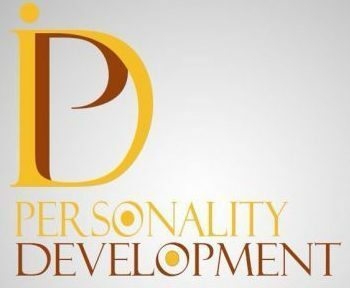 So…all those who aspire PEACE..in this fast moving world…go for PD…..not PERSONALITY DEVELOPMENT…..but PEACE DEVELOPMENT….a journey from darkness to light!! !